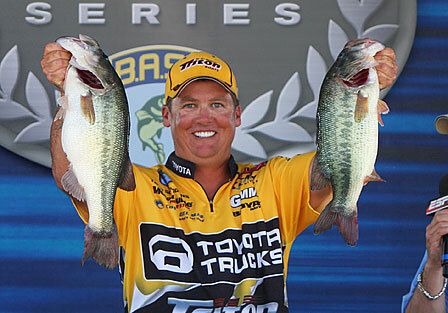 While some feared the recent Bassmaster Open tournament may have decimated the fishery on the Harris Chain, let me put your mind to rest. Not only are the bass alive & well but so are the specks that were eating 5/8 oz lipless crankbaits. 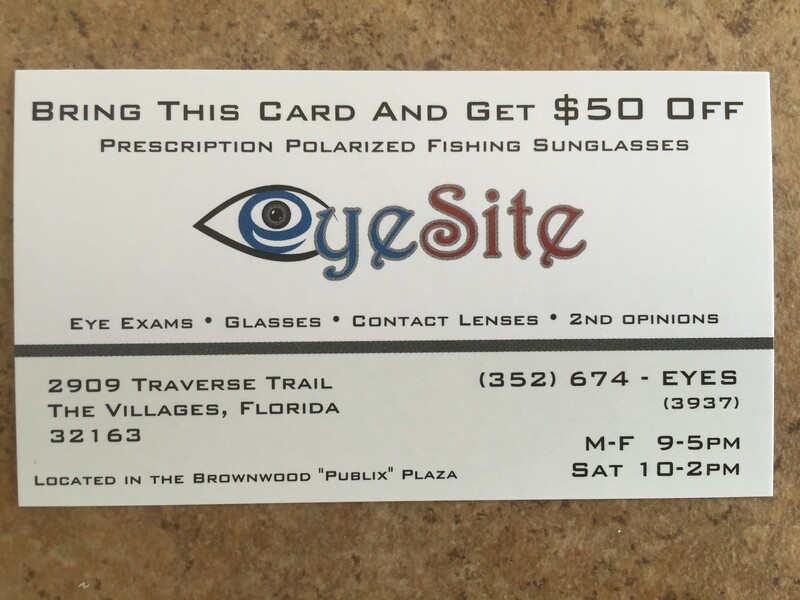 The soft strikes you may be getting are suspected “crappies” possibly. Although not pictured they have been caught exceeding the 10″ mark easily on Griffin. And these fish were caught in open water. If you’re a weekend angler be aware there’s 2 major bass tournaments coming up the last 2 weekends in February so the ramps will be packed. Yeah the fuzzy headed old goat snagged one in the face, as Bill Dance would say. 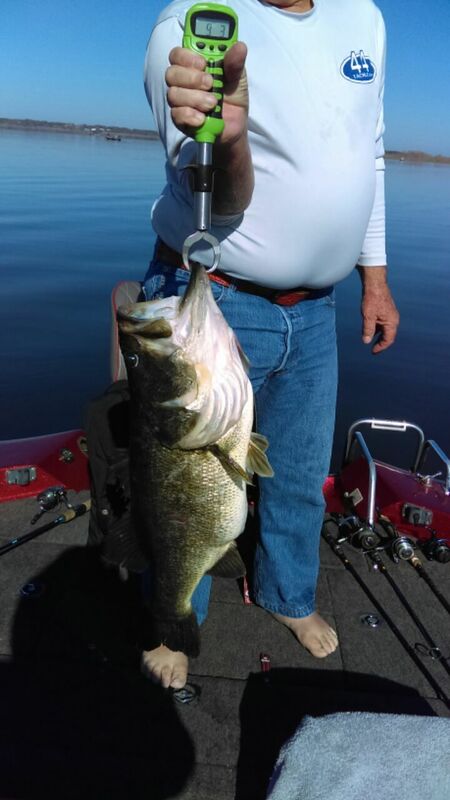 This fish was wide & wild when it hit. I’ll take them like this any day. And the Power Pole was put to use big time. 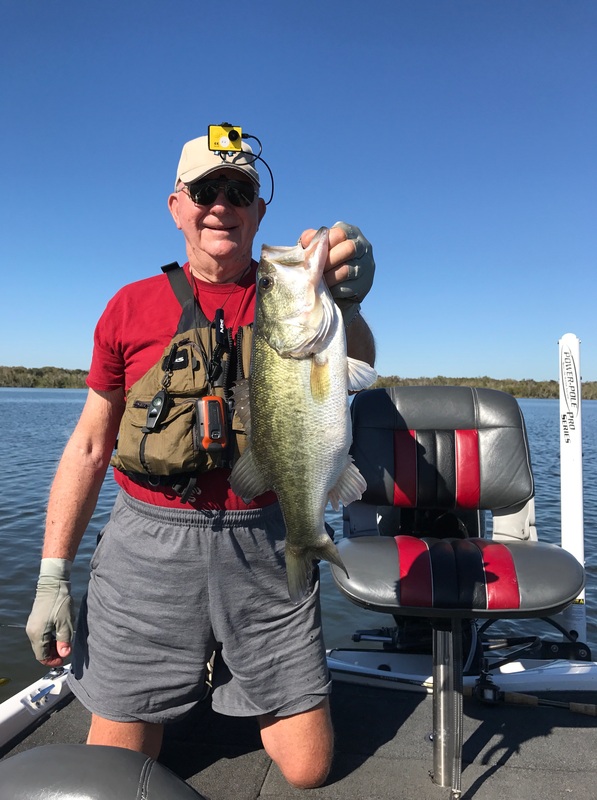 So a couple days pass & FFC co-web master/treasurer friend Jerry Lester asks “You been out?”….and with that I said “lets go.” Within 90 minutes we’re on the water at Griffin throwing similar lipless baits as before when Jerry says “fish on”….I turned & noticed his rod tip bouncing up & down with Jerry doing his best to prevent the fish from going under the boat. 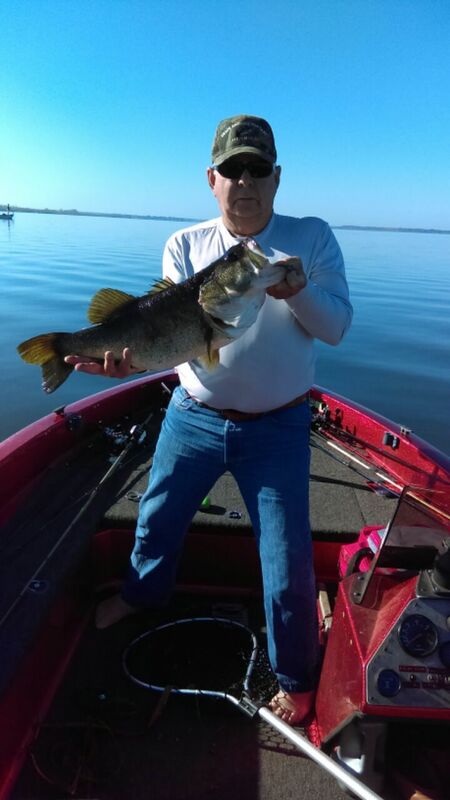 Finally surfacing I netted the fish….something I rarely do but decided to after wearing hooks recently in my thumb….& that came from a dink bass that wasn’t netted when the bait suddenly came undone once in the boat. 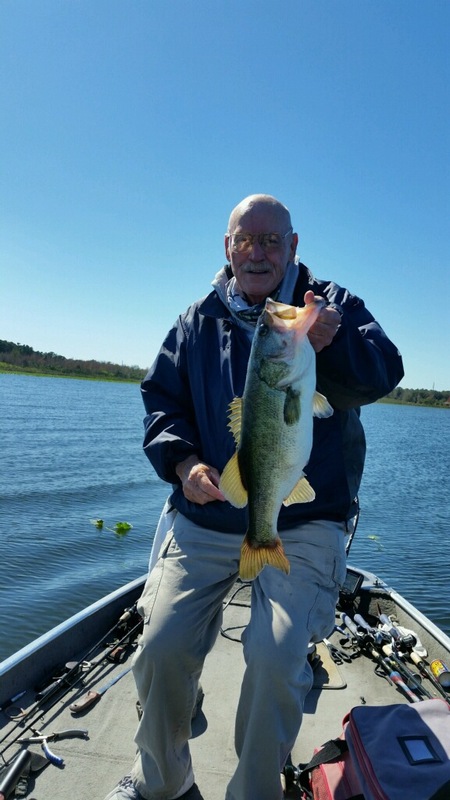 Regular contributor angler Wayne Barksdale never ceases to amaze me. Here’s Barksdale showing off a bass that he’d caught on Yale on 2/10/17. Barksdale said he’d caught 10 bass but this was the largest. Nice fish Wayne. 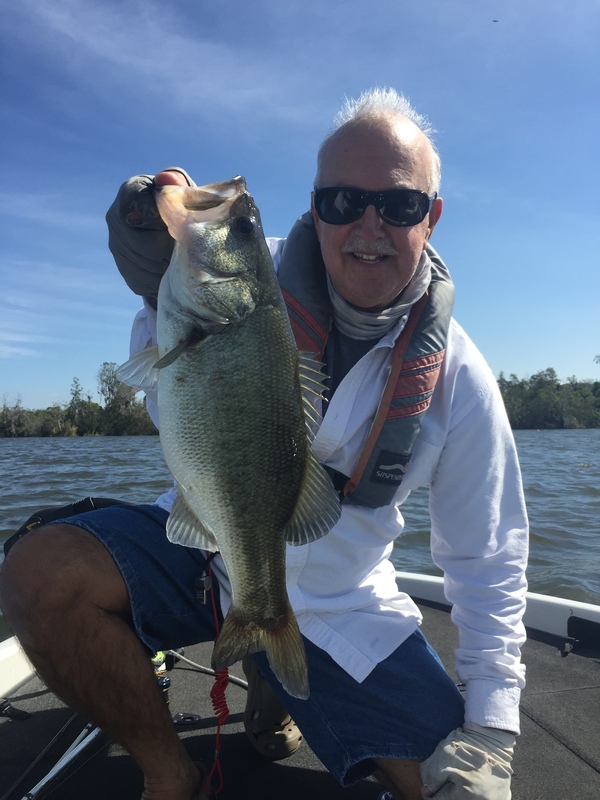 Picture is worth a thousand words or at least tier 1 prize level in Trophy Catch….and although Bill didn’t divulge what he caught the fish on, I know he likes to flip. Nice fish Bill. 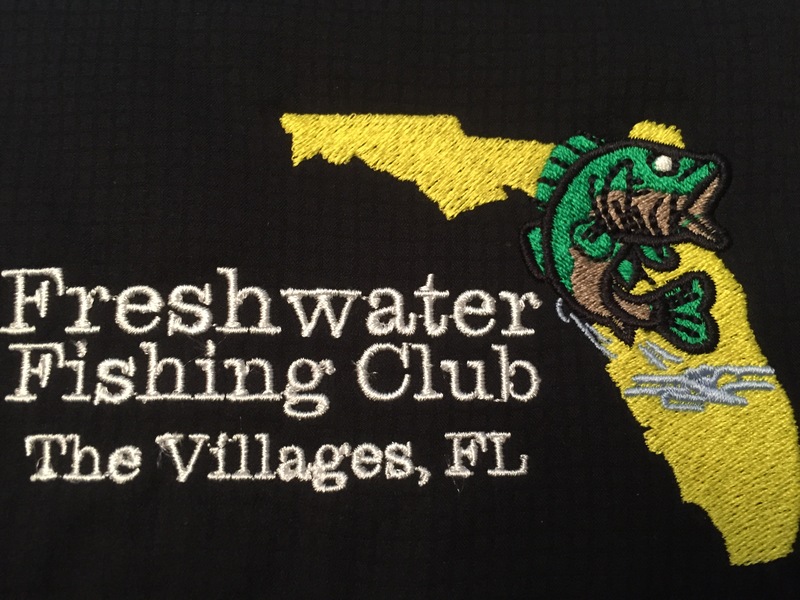 Don’t forget to sign up for our fish fry…..there’s 3 entries remaining for the Promise Ranch Raffle fishing trip….Steve Felix has scheduled a Lake Panasoffkee club trip with reports they’re biting….and Bassmaster Elite angler Terry Scroggins will be our guest speaker Tuesday at our meeting. Lots of things going on in the future too. Just remember you must be a member in good standing to participate. And there’s Rob & Randy’s fish mentoring too. Meeting Feb 14 6:30 doors 7:00 start.